The Burning Question*: Do you use an umbrella or a hood in the rain? A hood AND an umbrella because hey, you only live once. WE KNOW HOW you feel. It’s only Monday afternoon but already it feels like the week is dragging out. So do like we do here at TheJournal.ie HQ and get stuck into a serious debate on one of life’s most pressing issues to distract yourself. This week: Yes, it’s October, but does it have to rain ALL THE TIME? It’s starting to feel like the summer heatwave was just a figment of our cold, wet imaginations. But since we can’t beat it, we can at least try to fight it using all the weapons at our disposal, which means making a decision: brolly or a hood? Both have their upsides (mainly involving their ability to keep you dry) but the negatives are what force you to make a choice: umbrellas drip, and turn crowded streets into obstacle courses, while hoods can’t protect most of your body and can be useless in a heavy shower. 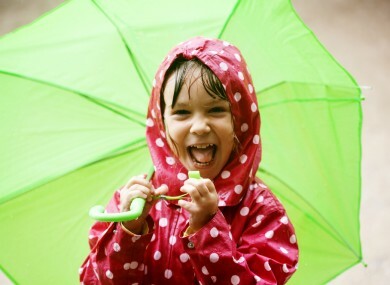 So over to you: Do you use a hood or a brolly to protect you from the rain? Hood. I'm old school like that. Both. It's my way of telling the rain that it will never defeat me. Neither. Run wild, run free, get soaked, that's my motto. Email “The Burning Question*: Do you use an umbrella or a hood in the rain?”. Feedback on “The Burning Question*: Do you use an umbrella or a hood in the rain?”.